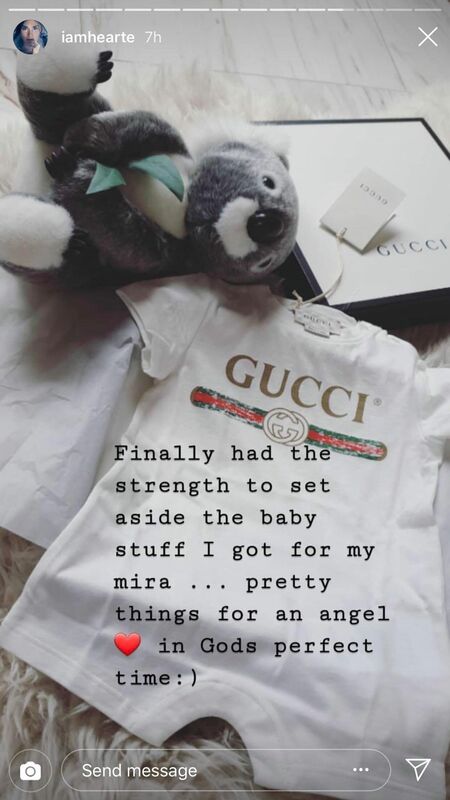 Heart Evangelista finally finds the strength to set aside baby stuff she got for her expected child, Mira: "Pretty things for an angel." 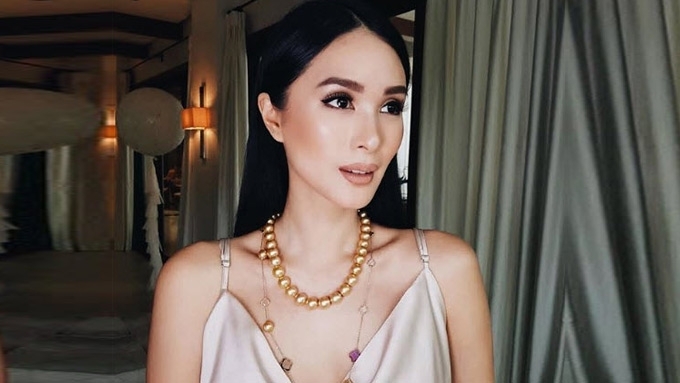 Heart Evangelista continues to move on from the miscarriage she experienced earlier this year. The GMA-7 actress was a picture of happiness when she and her husband Senator Chiz Escudero announced last May 12 that they were finally expecting a child together. It was later revealed that Heart initially expected twins, but lost one of them early on. Then in a tragic twist of fate, Heart also lost the other twin when she found out that her baby had no heartbeat. The actress-host expressed her grief through a lengthy Instagram post on June 6. READ: Heart Evangelista grieves but hopeful after miscarriage: "It's not the end, just another chapter." Two weeks after the news, Heart broke her silence about the miscarriage via an Instagram live session. Here, the Kapuso star spoke about her realizations after the ordeal. She said, "Going through this whole storm, I realized that too much sunshine will wither you, and that sometimes, you need to go through the rain, the storm so you witness God’s power and God’s love and how He lives, how He is real, and how He is gonna make you feel so much better. "And you will see that it’s gonna be amazing, it’s gonna be epic." Since then, Heart has been busy making new opportunities for her career. Heart already had a name for her expected child: Mira. She wrote in her June 6 Instagram post, "My Mira, funnily enough, I already loved your smile. I know you’ll find your way back to me." Through Instagram stories this weekend, Heart "finally had the strength" to go through Mira's stuff and set them aside. Heart captioned, "Pretty things for an angel (heart emoji) in God's perfect time :)"